“Old School” perpetual software licensing agreements are rapidly falling out of favor as often times they place restrictions on product use that do not fit the dynamic business needs of the end user. Many smaller companies, for instance, benefit from the ability to tailor licensing usage and subsequent costs to reduce their upfront expenditures and more closely match their business cycles. This is one reason why modern, usage-based licensing is trending in the software monetization market as customers gain increasing say in how they want to consume and pay for their software, so says Frost and Sullivan in their Global Software Licensing and Monetization Market report. For ISVs, the flexibility to offer licensing models tailored more closely to their customers business needs can help them reach new markets that they might not have been able to achieve with a conventional perpetual licensing strategy. Take for example, the case of Agfa HealthCare, a leading provider of diagnostic imaging and healthcare IT solutions for hospitals and care centers around the world. In the digital healthcare market, computed radiography is an important driver in making medical imaging more accessible, especially for smaller healthcare facilities in emerging countries. However, the upfront capital investment in equipment and software remains an important hurdle for healthcare providers with a relatively modest need for medical imaging. According to Louis Kuitenbrouwer, Agfa HealthCare’s Vice President Imaging: "The low-end market for computed radiography is growing quickly. Small laboratories, orthopedic doctors and other healthcare facilities want to provide medical imaging, but often cannot afford the traditional upfront investment in hardware and software. Agfa HealthCare's Easy Payment Scheme, powered by Wibu-Systems' versatile license lifecycle management, provides digital imaging at an affordable and predictable price." 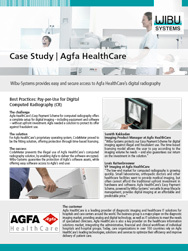 With this in mind, Agfa HealthCare developed a computed radiography solution that offered a complete digital imaging package, including equipment and software, without upfront investment. 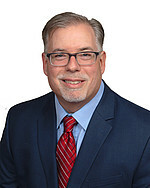 With the help of Wibu-Systems, they were able to implement a solution for time-based licensing that allows the healthcare providers to use the computed radiography package in a pay-per-use scenario. Their customers pay as they go, with a fixed down-payment followed by equal and regular installments, thus keeping upfront capital investment low and cost management easy. Samith Kakkadan, Agfa HealthCare’s Imaging Product Manager, added: "The time-based licensing model allows the user to pay according to the imaging volume he needs - and also guarantees our return on the investment in the solution." With Afga HealthCare’s Easy Payment Scheme, all a healthcare provider needs is an Internet connection and a debit or credit card. An online interactive portal reminds the healthcare provider to make each payment, which then allows the system to be used until the next installment's due date. The ability to offer flexible licensing models is an important component in every ISV’s toolbox. You can read the complete story here and see how to create and implement new licensing models.